Back in November 2018, ADVRider told you about Curtiss Motorcycles using Wefunder crowdfunding to fund its electric motorcycles. That crowdsourcing campaign resulted in approximately $266,000 in capital for the gasoline and electric motorcycle manufacturer. 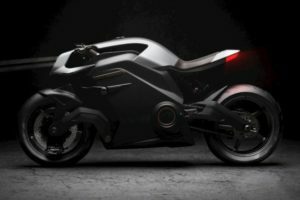 Apparently, Curtiss put that money to work and recently released more specs for its flagship machine, the Zeus electric motorcycle. The Zeus is no ordinary looking electric motorcycle. Its design is certainly novel and immediately garnered an award at its prototype rollout at the 2018 Quail Motorcycle Gathering. 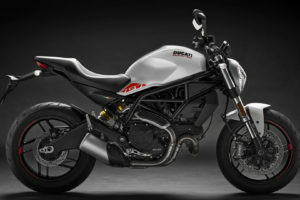 Since then the machine’s design has morphed several times to include a cafe racer and bobber versions. The novel design does not come cheap. At a price of $60,000, it is more than twice the price of Harley-Davidson’s LiveWire. Curtiss has recently opened pre-orders and that may be one of the reasons they have released some additional specs. If the Zeus interests you, you can sign up online now with a $6,000 non-refundable deposit. So what do you get for your deposit and ultimately your $60,000 machine? Curtiss says the Zeus is powered by a very large 140 kW motor that reportedly puts out 145 lb-ft of torque. Claimed 0 – 100 KPH (62 MPH) time is 2.1 seconds. That is an impressive time. In fact, it puts the Zeus just behind the Lightning LS-218 purpose-built sportbike. Even more impressive is Curtiss’ range claim for the Zeus. Curtiss says the Zeus has a range of 280 miles. That’s double the range of the Harley-Davidson LiveWire and longer than any other current, well-known manufacturer. Unfortunately, Curtiss hasn’t revealed much about the Zeus’ battery so it’s difficult to attempt to assess their claim. They have also not released information about charging times. You also get a design that few others have or are likely to have in the future. The Zeus features a machined 6061 aluminum monocoque frame along with carbon fiber bits. It also features a girder type front suspension as well as a rear monoshock attached to a machined 6061 aluminum swingarm. Braking on the front comes courtesy of dual Beringer four-piston calipers. The rear features a single four-piston unit. At $60,000, this bike is only for those who value design very highly. But for all its design novelty, it does not look like a machine that would be comfortable to ride. But while you are riding, you’d likely be the only one on a Zeus. Curtiss says deliveries will commence in early 2020. What do you think of Curtiss’ flagship machine?